We hope you all had a lovely Bank Holiday weekend and hope you all got some lovely weather. 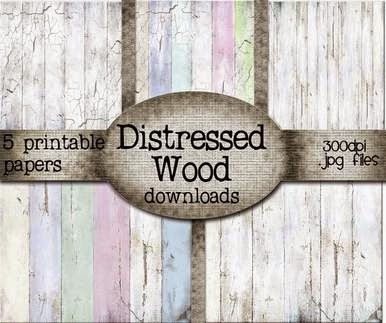 and you can use this from 8am today till midnight to get 20% off all downloads on the website! So make sure you go and grab a bargain now before it disappears! Make sure you do check in with us every Tuesday at 8am to grab your new codes - they are only listed here at Digi Choosday! Before we get onto the challenge we have another new release to share with you. There is also a new mini download of Distressed Wood Papers which you can find HERE. Now onto the new challenge from us here at Digi Choosday. 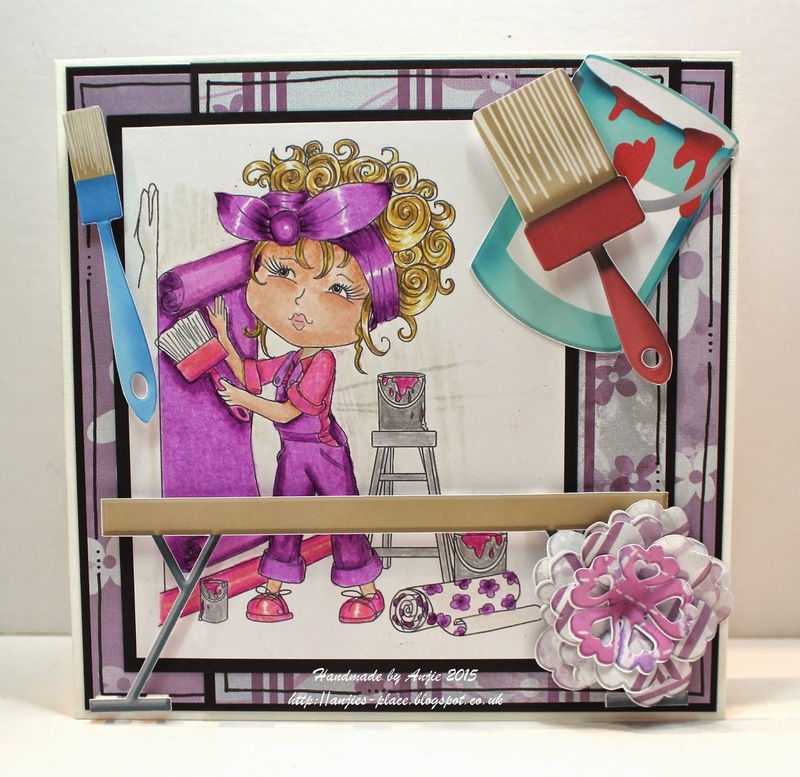 The challenge we have for you this week is “Pretty In Purple” So we want to see lots of purple on your creations. and the winners will be announced on 16thJune 2015. The winner and top 3 for week 18 can be found at the bottom of this post. 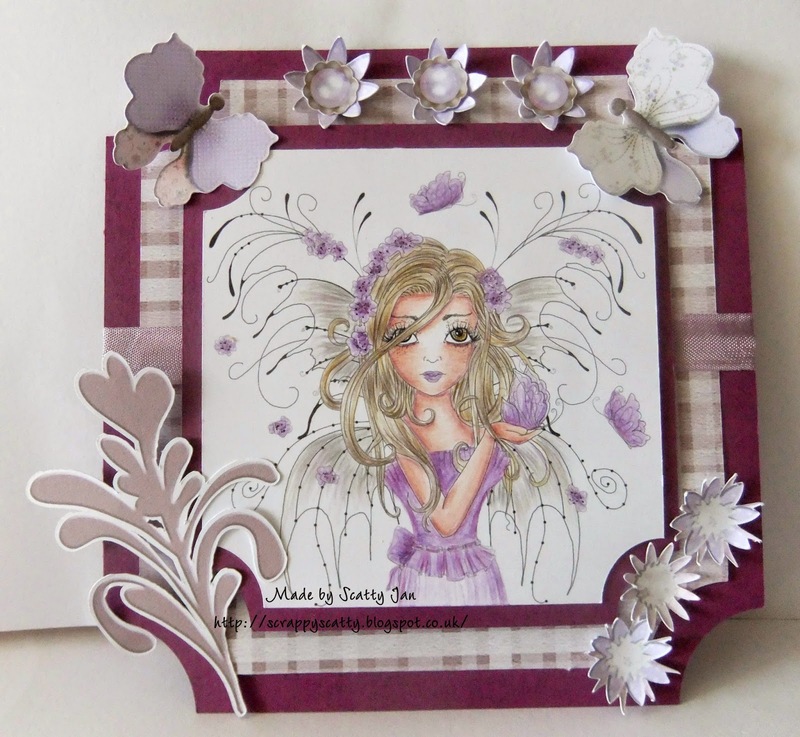 Scatty Jan For todays Purple project I have used the Eden collection and coloured up Eden Fairy Wings also available as a digi here. I have coloured up using polychromos. The Paper used and all the elements are all from the lovely collection. Monica The new "Work & Play 11 Collection" has the perfect papers, elements and characters to fulfill this challenge. 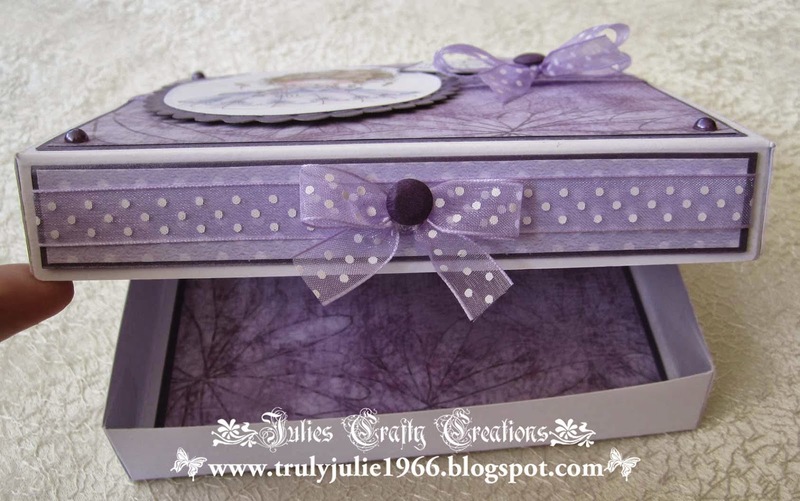 I made a strech card with the lovely little skulls purple papers. To decor my card front, I used the perfect precoloured image "Female Skateboarding, Skateboarder" (I love all the shading and bright Nikky add to precoloured images). The little skulls and the skateboard are also included in the collection, as well as the grungy sentiment. 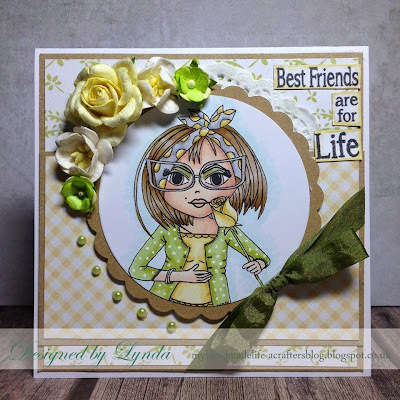 Dawn: I have used Octavia Moonfly Friendly Hugs, which comes as part of the Octavia Moonfly CD here or a separate digital stamp here. The sentiment comes from Twiggy & Toots CD. Tanya: So I'm back feeling refreshed after three weeks off and for this week's challenge I've opted to use one of the coloured digis from the Eden Collection called Eden Blossoms which I've printed off several times and decoupaged her and used some of the papers from the collection as well and the Scrabble Tiles from the Work & Play 9 Love & Kisses Collection. 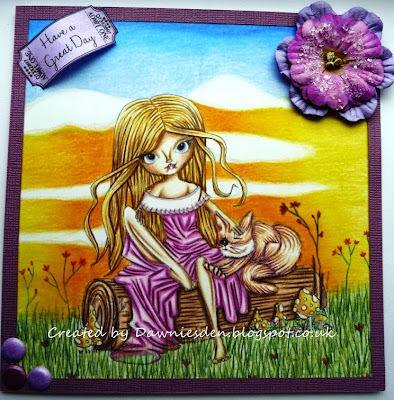 Emma - For my Pretty in Purple card i have used the gorgeous Octavia Moonfly Unicorn who can be found Here, I have coloured her up using Copics & have added some liquid pearls. 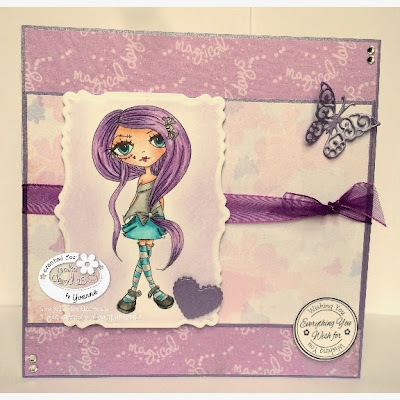 All of the papers & embellishments are from the Octavia Moonfly collection which can be found as a download Here or on CD Here. Kate - I used the pretty pre-coloured Gymnast image from the Work & Play 11 Collection along with papers, sentiment, paper bow & flowers all from the same collection. I love the fact that everything in the Work & Play Collections all work so well with together and that you really don't need anything other than a card blank, glue & scissors in order to create something beautiful. 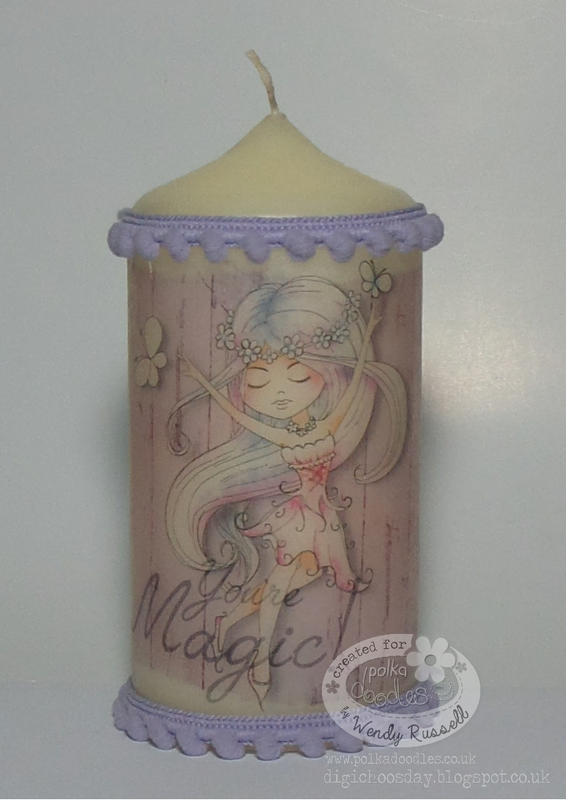 Wendy - For this weeks project I've digitally created the design and transferred it onto a candle. 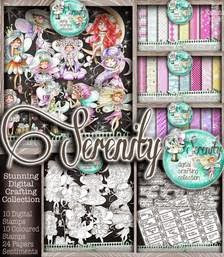 The pre-coloured image is from new Serenity collection, you can also get Serenity Joyful as a digi here. The sentiment is also from this collection, but again you can get the sentiment bundle on its own here. The background is made from one of Nikkys new Distressed Wood papers and I've recoloured it in purple using Craft Artist. Yvonne - Hello there! 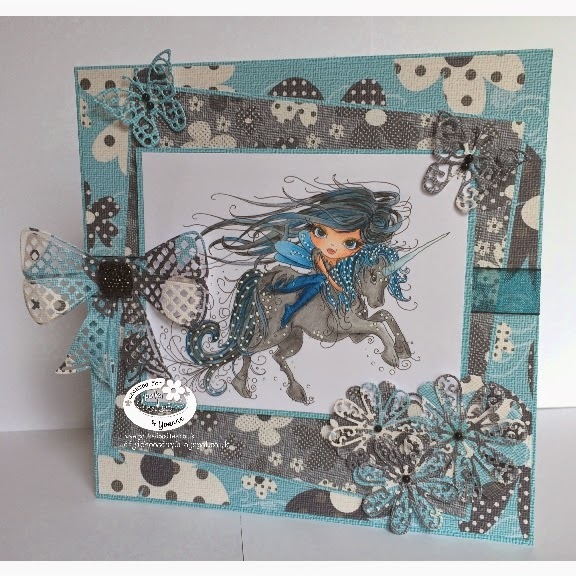 For this challenge I have used Oddella Bow image, which you can get here. I have coloured her with my polychromos pencils. 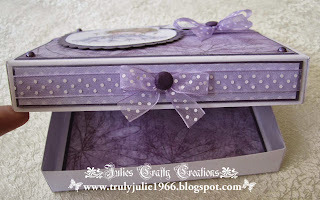 The papers I used are from the NEW Serenity Collection - which is just DREAMY!!!! Anjie - I have used the female decorator, papers and embellies from the Work and Play 11 full download collection. You can also buy her as an individual digi HERE. I have used my Prismacolour pencils to colour this in. 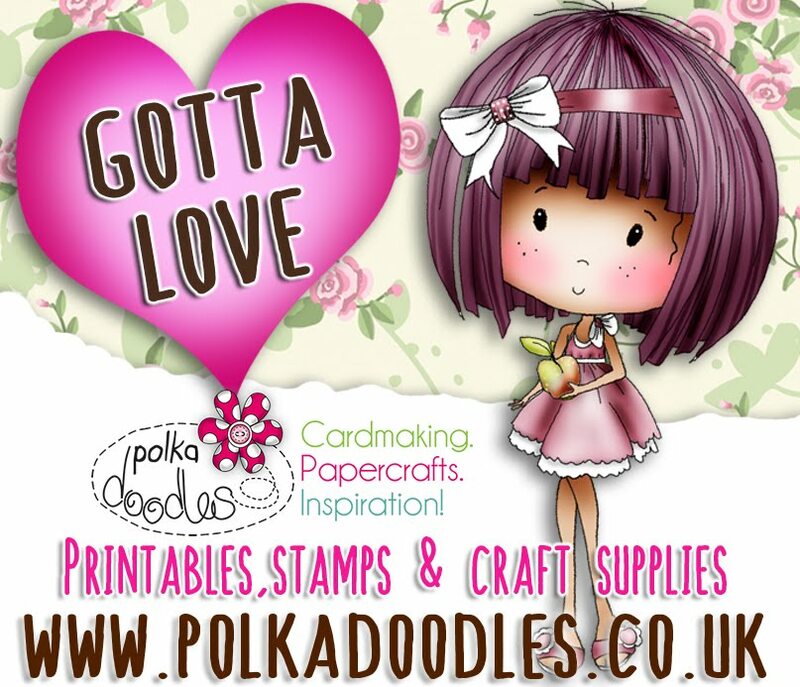 Please email us at sales@polkadoodles.co.uk quoting DCW018001 to claim your prize of a £5 of free downloads from the digi store! 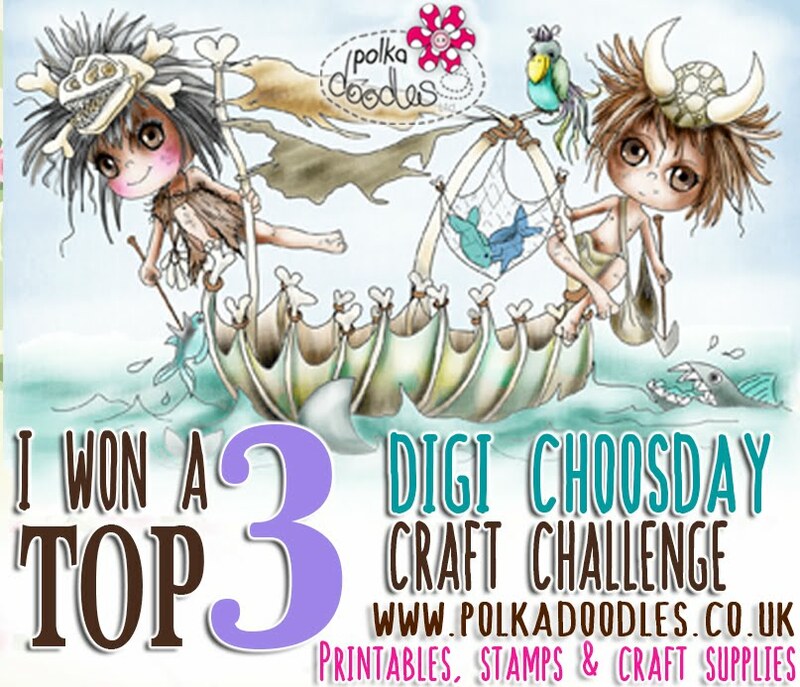 It’s time for a new challenge from us here at Digi Choosday, I know, these weeks are just flying by aren’t they! 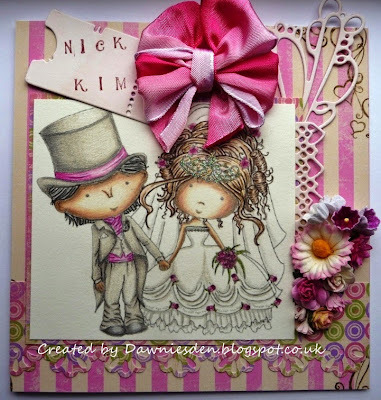 It can be a bow made from ribbon, lace, twine, card, paper or a die cut ribbon, we don’t mind what as long as there is a bow of some kind on your make. and the winners will be announced on 9th June 2015. The winner and top 3 for week 17 can be found at the bottom of this post. 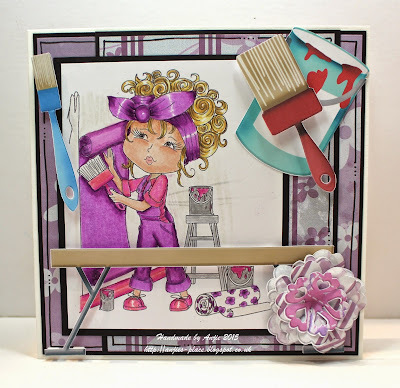 Scatty Jan This week I have used the lovely Maddie twirling curls digi stamp you can find her here, is'nt she a cutie! Loved colouring her , this time I coloured using Polychromos. 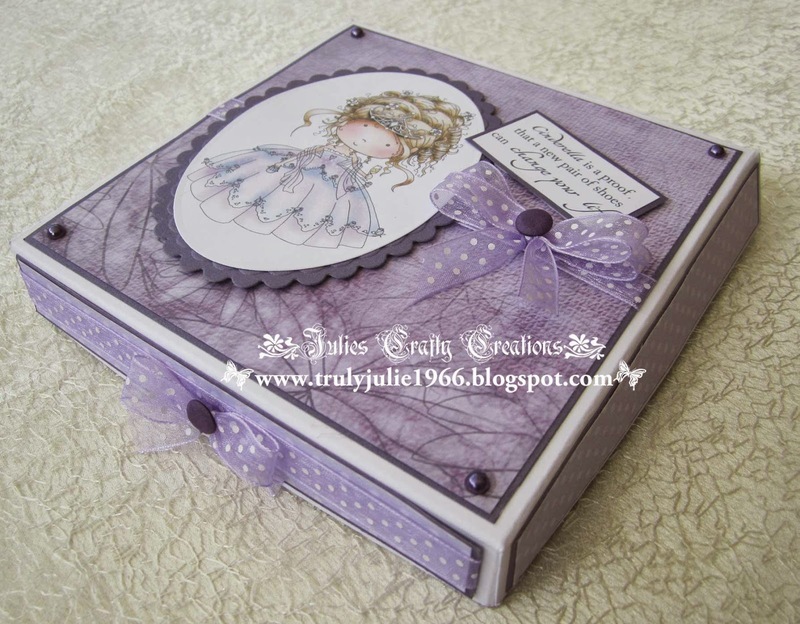 The backing papers used are from the Cherryblossom Lane CD collection. I have cut the bow and punched some flowers out using the papers too . Adding some gems to finish. Monica I used the beautiful papers and the gorgeous bows included in Work & Play 9.-Love and Kisses and the lovely Landlady/barmaid, to make a wineglass lampshade. 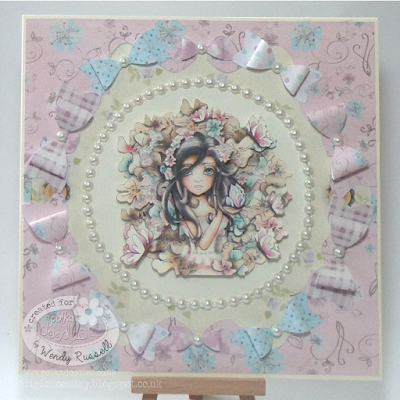 Wendy - For my Add a Bow card, I've added a few bows! All the bows are pre-sized from the bows section of the Eden Collection. The backing paper and the frame are also from this collection. The image Eden - Butterflies is also available on her own here as a digistamp, however I've used the pre-coloured image from the full collection to get perfect replication for the decoupage. Yvonne - Hello there everyone! Well I decided for my challenge this week, I would tackle Octavia Moonfly because she is gorgeous and I haven't coloured her before. She is available as a separate digi image or as part of the collection, which you can get as a digi download or as a CD-Rom. I have coloured her with my polychromos pencils and used papers from the collection also. I die cut some flowers and butterflies as embellishments from the same papers. I then used a die bow to complete the challenge. Anjie - The image I have used is the new Oddella Heart, these are from Nikky's darker side, aren't they fun! More Oddellas can be found HERE. 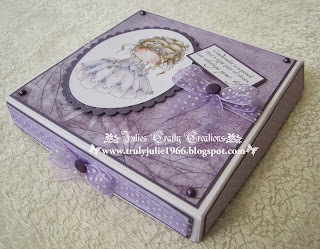 The papers are from the Octavia Moonfly Paper Heaven 4 bundle. I have coloured her with my Graph'It Markers. 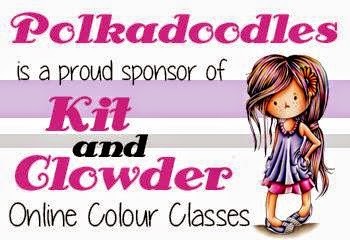 Please email us at sales@polkadoodles.co.uk quoting DCW017001 to claim your prize of a £5 of free downloads from the digi store! So we want to see lots of flowers on your projects. and the winners will be announced on 2nd June 2015. 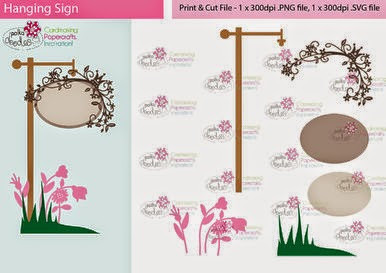 All the Polkadoodles collections have awesome ranges of flowers in them, take a look at some of these fabulous downloads! As these are all .PNG files if you have an electronic cutting machine you can easily import and cut all these out and manipulate and build all the layers up! You can get any of these 4 collections at 50% off using code DCFL50 until 18th May! 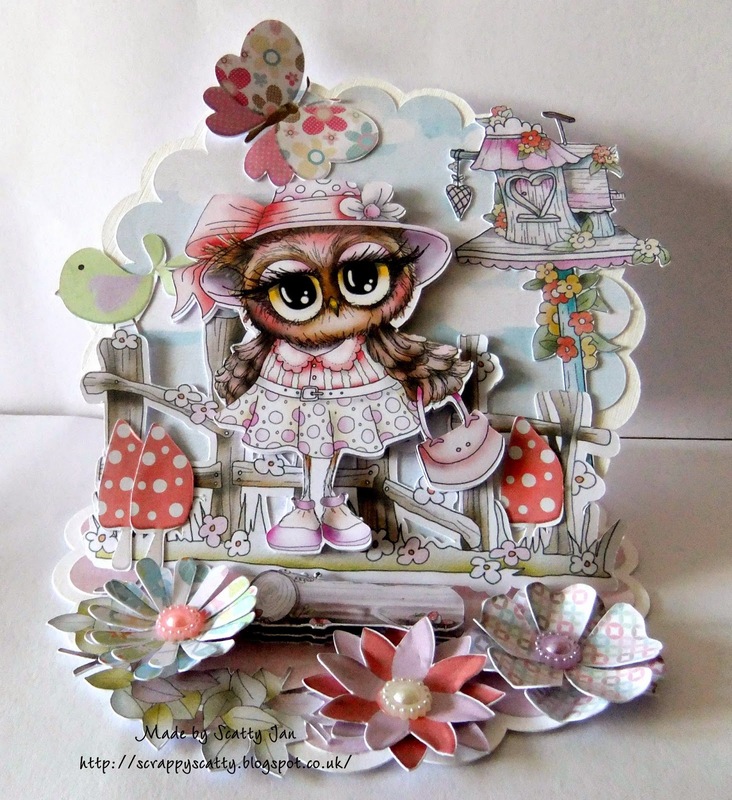 Scatty Jan Oh such a fabulous collection Twiggy and Toots CD also as a download here - I have used one of the lovely owls I love this one with her little bag just on out for a stroll. 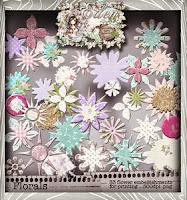 All the papers and elements used are from the collection I just added in some pearls to the flower centers. 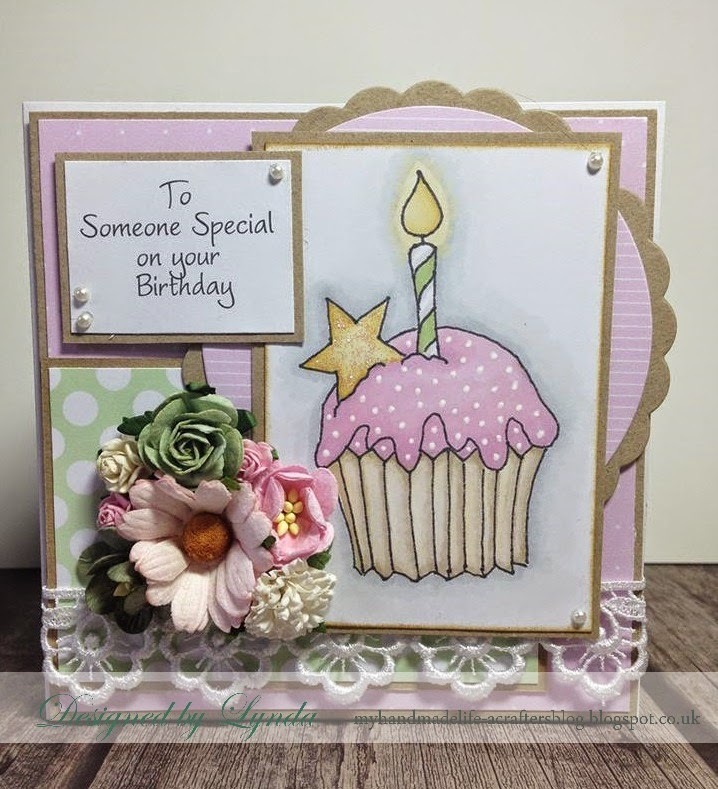 i adore making these types of cards so much to see. The cloud background paper is one that will definatly be getting a lot of use. 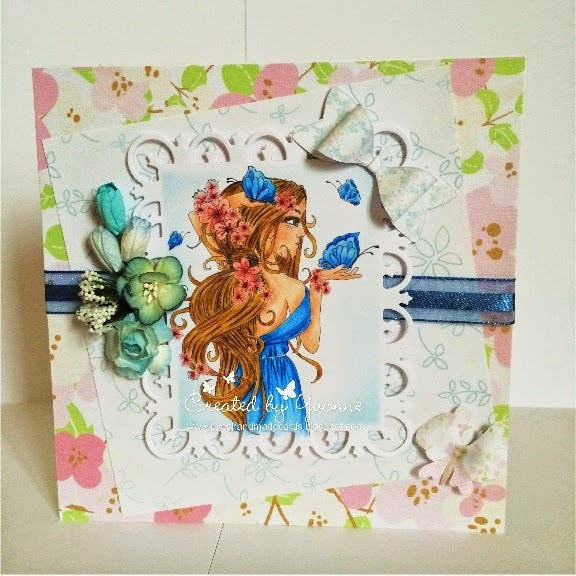 Yvonne - I love the Eden Collection and for this challenge I thought that the image 'Blossoms' would be perfect for Flower Power. I made a 7x7 card using papers from Work & Play 10 and from Twiggy & Toots Collection. The paper bow is from the Work & Play 10 Collection. Wendy - Lots and lots of flowers on this table centrepiece. 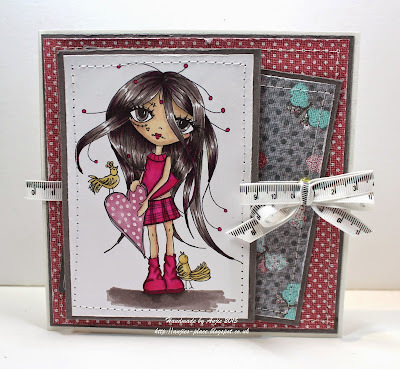 I've used four different papers and a journalling tag from the Octavia Moonfly collection and cut using my Silhouette (although you could do it by hand but much slower!). 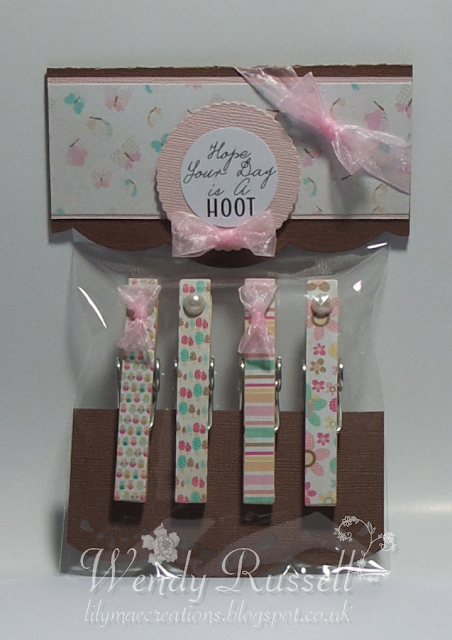 The papers are available in theor own mini kit here and the tag is part of the Embelishment mini kit, here. Caz For my flower power project i have used Foraging Mushrooms single digi..From the fab Country life, work n play 10. Available as a Download or CD. Papers and the strip down middle are all available as well as the digi in this collection..The flowers are a seperate cutting file. 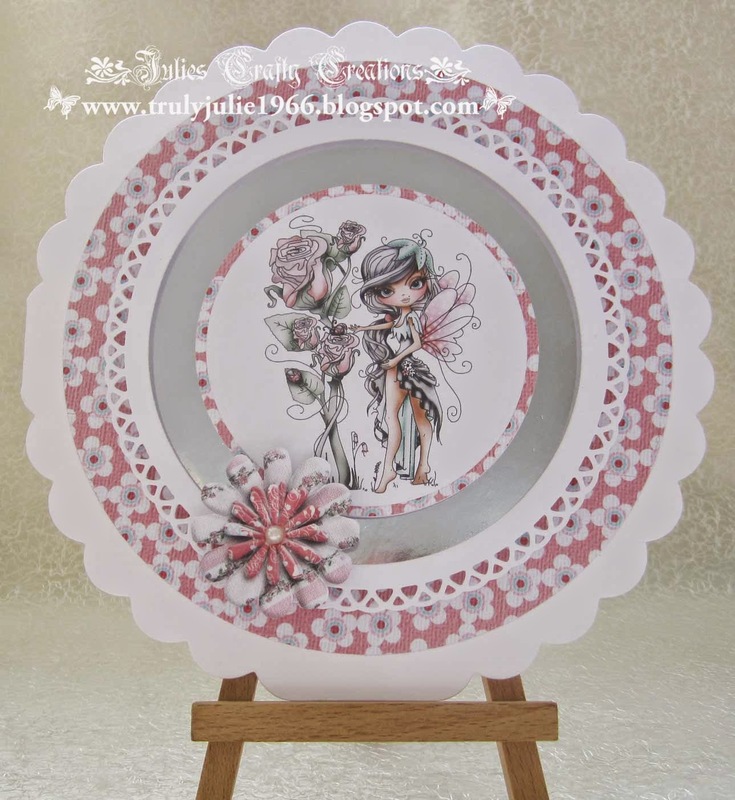 Monica- For this week project I was looking for a good display for the gorgeous flowers and butterflies included on Eden Collection and I found this very unsual "circle tray display card" that was just perfect. 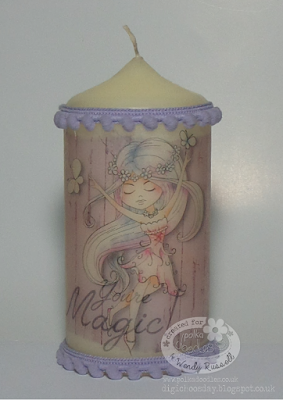 The digi is "Eden Window" included in the same collection and also available individually here. 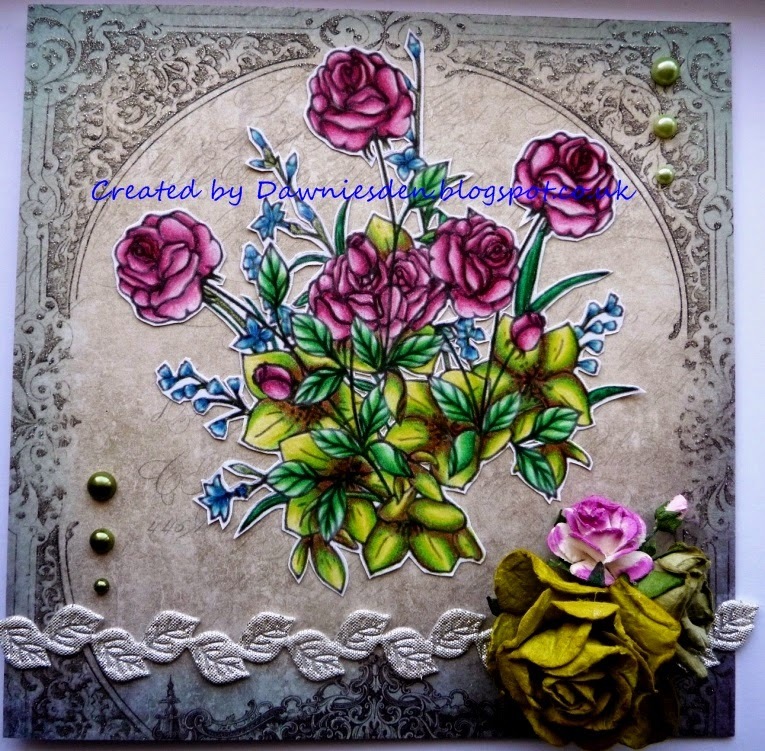 Dawn I took some colouring away with me when I went on holiday last month & used this image Roses from the Love & Kisses CD, Added paper, ribbon, pearls & of course flowers to match the image colours. Anjie - I have used an image and papers from the Eden download collection. This is also available as a CD HERE. 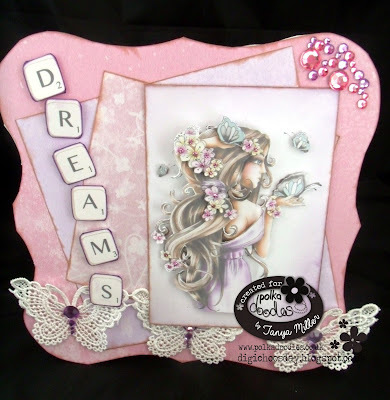 And the image Eden Cherryblossom is available on her own HERE. I have used Graph'It Markers to colour the image. 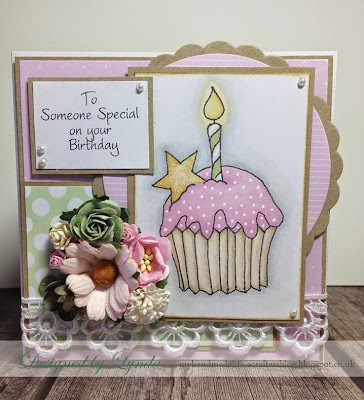 More details can be found on my blog by clicking on my name. Just add your entry using the linky tool below. 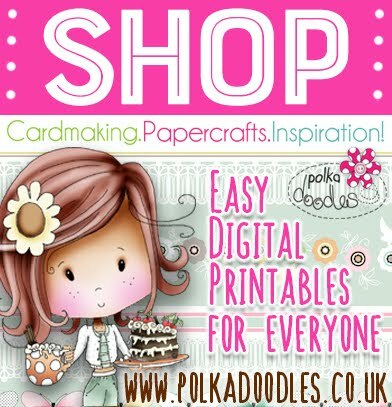 Please email us at sales@polkadoodles.co.uk quoting DCW016001 to claim your prize of a £5 of free downloads from the digi store! 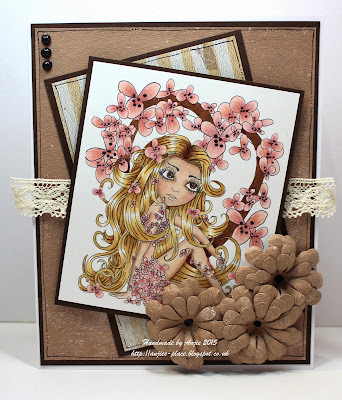 Before we let you know about this week's challenge have you seen our latest releases? We have two great new collections this week! 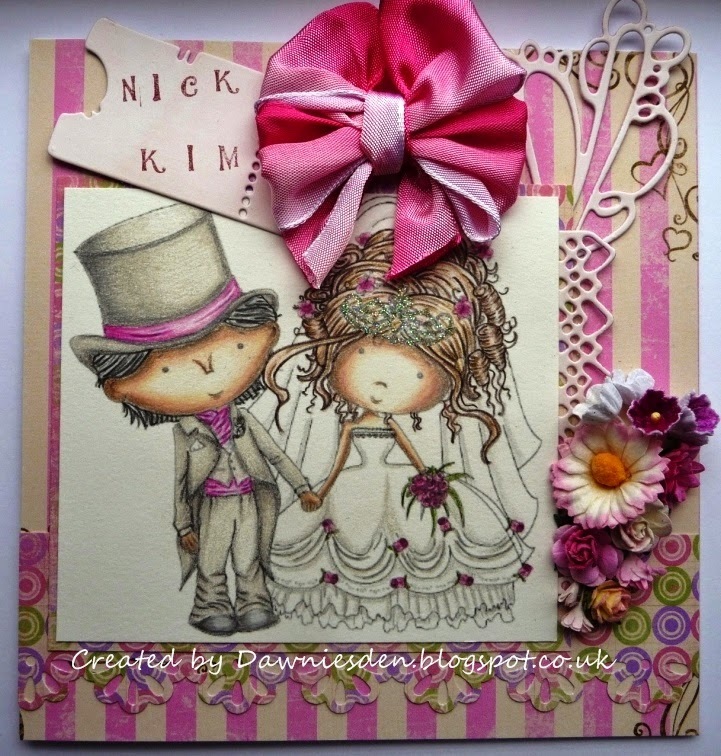 Ickyink range...something a little bit different! and also this week we released a brand new Work and Play Collection! Can you believe we are up to Number 11 already! And, as if that wasn't enough we also have loads of new SVG Print and Cut files for download this week too! Make sure you check out these lovelies! You can save a massive 15% off Downloads this week - just enter code DC151 at the checkout before 12th May to save when you spend over £5 on downloads! We give you two weeks to enter so that means the CLOSING DATE IS 19th May 2015 and the winners will be announced on 26th May 2015. PRIZES: The random winner (chosen by Random.org) will receive 3 downloads of your choice from the digi store! The winner and top 3 for week 15 Pearls and Gems can be found at the bottom of this post. 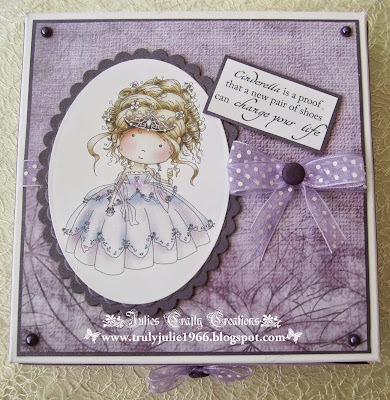 Caz For my project i have made a shadow box card..Using the gorgeous Eden Window. You can also find this digi, along with all the papers, cut out word and ribbon on the fab Eden collection CD also available as a Download. Yvonne - Hello there! 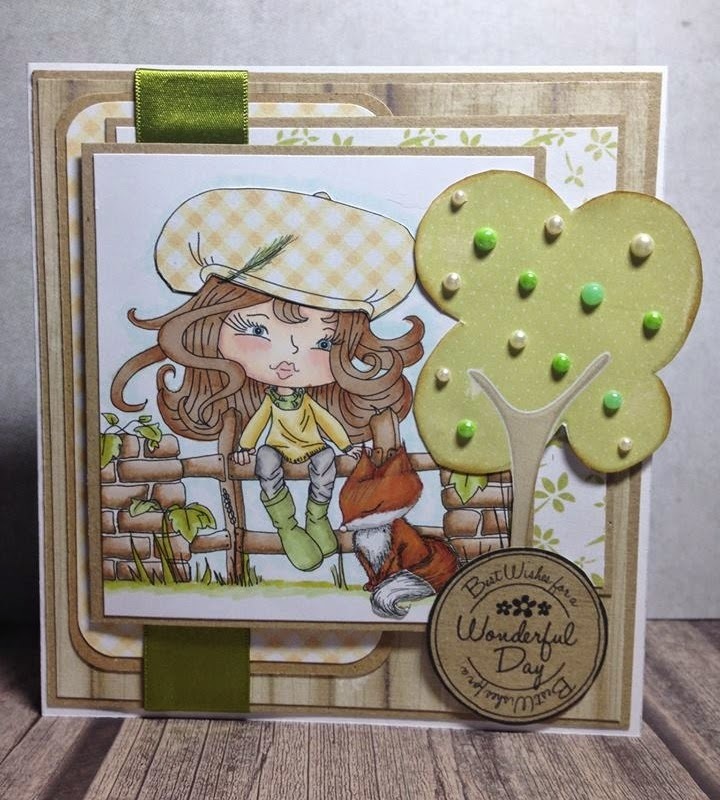 I have used Hats Off Twiggy from the new Twiggy & Toots Collection. You can get this as CD-Rom or as a Digi Download Collection. The papers are from the same collection as are all the embellishments. 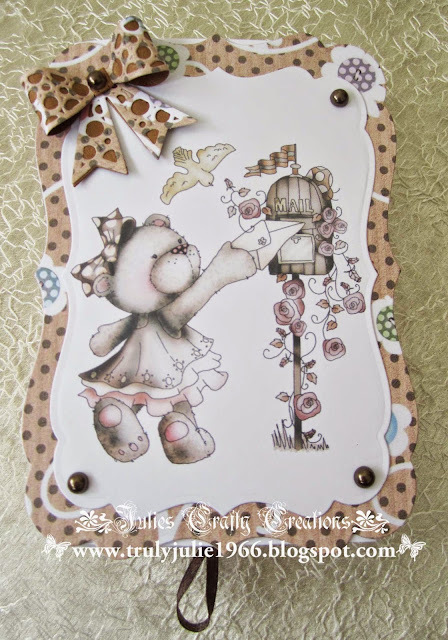 I used my Graph'It Markers to colour the image, more details on my blog. 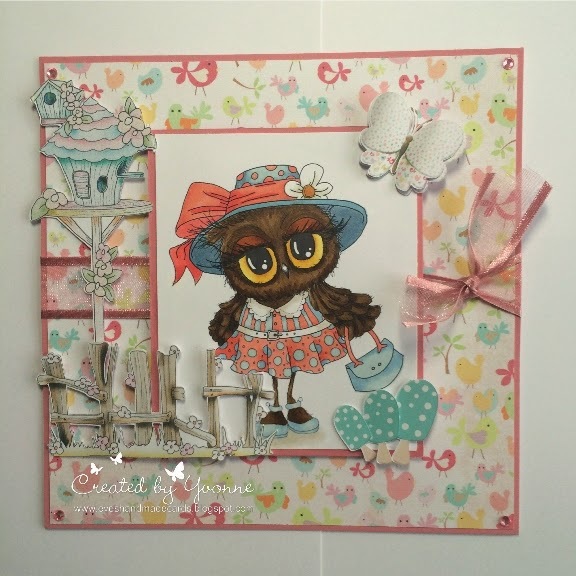 Wendy - For this weeks project I have made a set of peg fridge magnets. I have only used elements from the new Twiggy & Toots Collection. 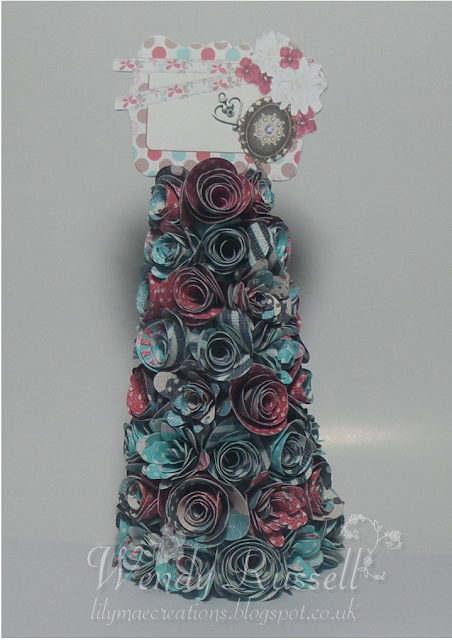 The papers I've used on the pegs are also available a mini collection here. Monica- I´m in love with Twiggy & Toots collection. 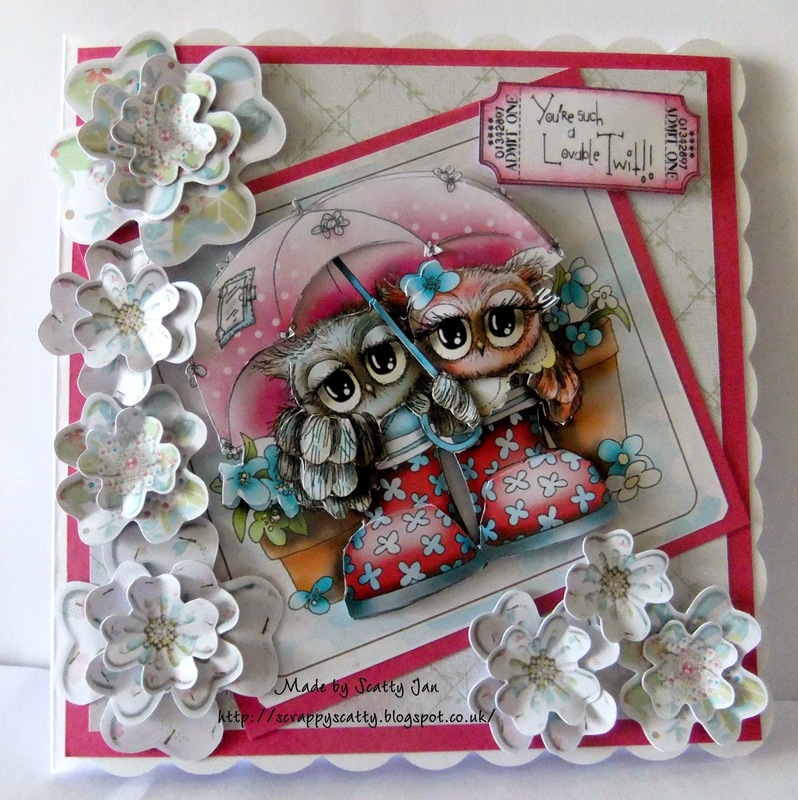 For this week, I made a pop up card and all the papers, elements, digi and sentiment are from that collection. The sentiment is a catchy phrase from one of my favorites Beatles song. Anjie - The image, papers and embellies are all from the fabulous Eden collection download. This is also available as a CD HERE and in smaller collections HERE. And the image is available on her own HERE. Eden is coloured with my Graph'It Markers. Great makes from everyone I’m sure you will agree. Add your entry using the linky tool below. 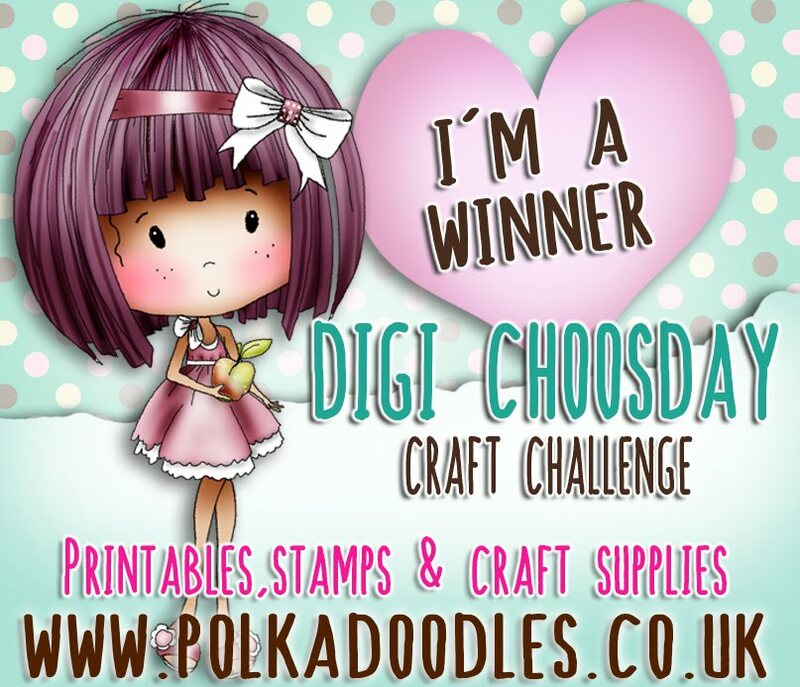 Please email us at sales@polkadoodles.co.uk quoting DCW015001 to claim your prize of a £5 of free downloads from the digi store! Thank you all so much for your entries, it means so much to us that you join us each week - see you next time and have fun with your Anything Goes theme!